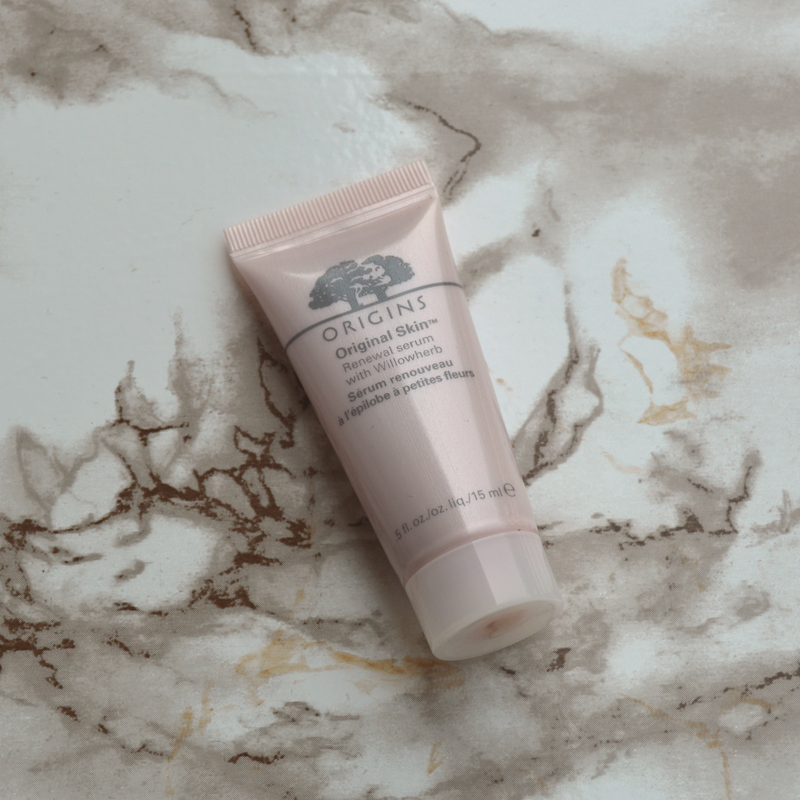 This week I’m reviewing the Origins Original Skin Matte Moisturizer. 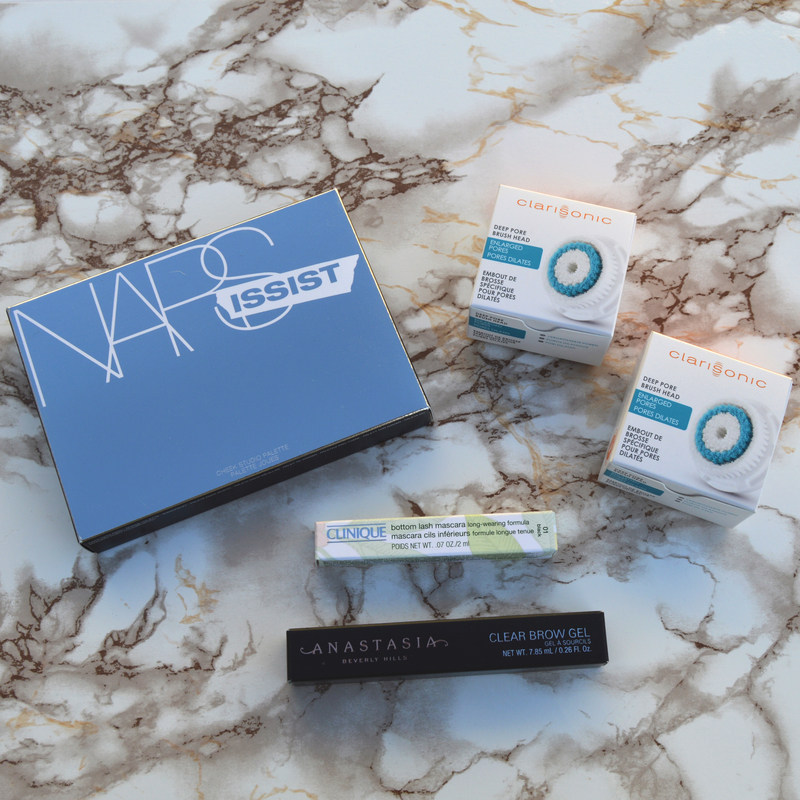 I received a full-size container of this product from Influenster, complimentary for testing. 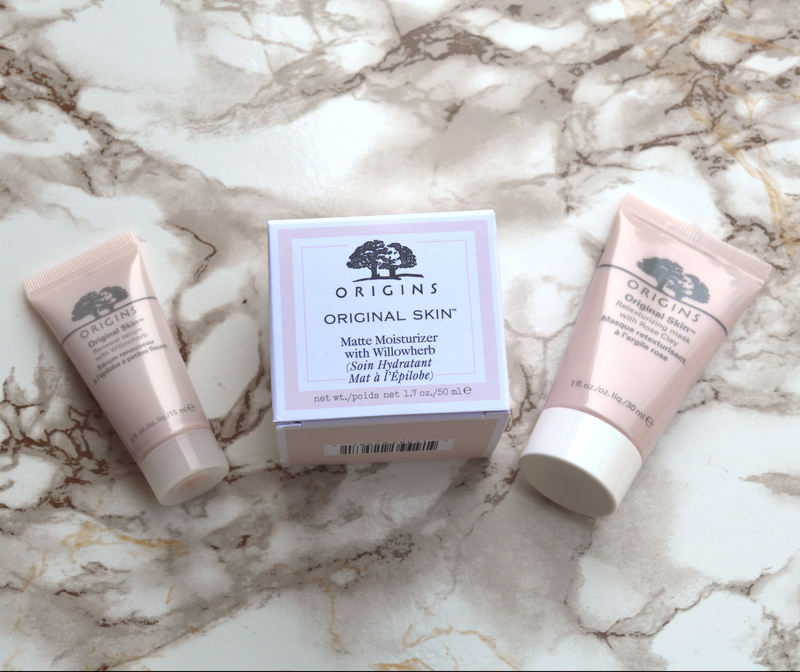 It also came with a trial size of the Origins Original Skin Renewal Serum and the Origins Original Skin Retexturing Mask. To get a true reading of these products, I’ve been using them for the past month. 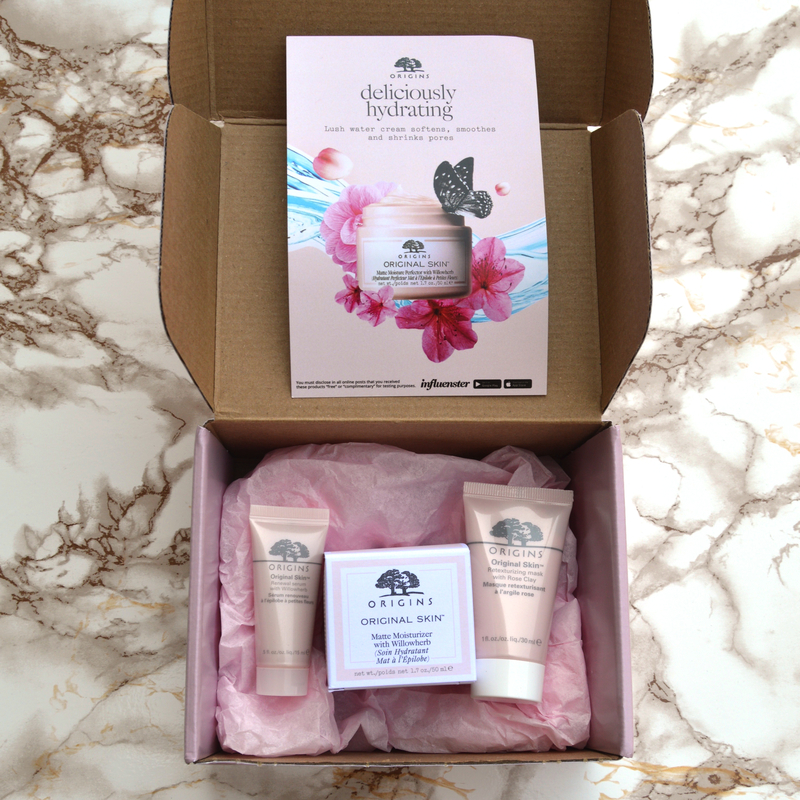 It takes about 3 weeks for your skin to adjust to new skincare products so I wanted to give these products a fair chance. Get a gorgeous glow and fresh finish with this lush water cream. It instantly hydrates and perfects, so skin is primed to go bare or better accept your makeup. 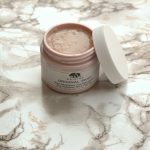 Formulated with Pink Rock Rose and Willowherb, it helps boost glow, refine texture, even tone and minimize pores for a soft, smooth feel and a positively luminous look. 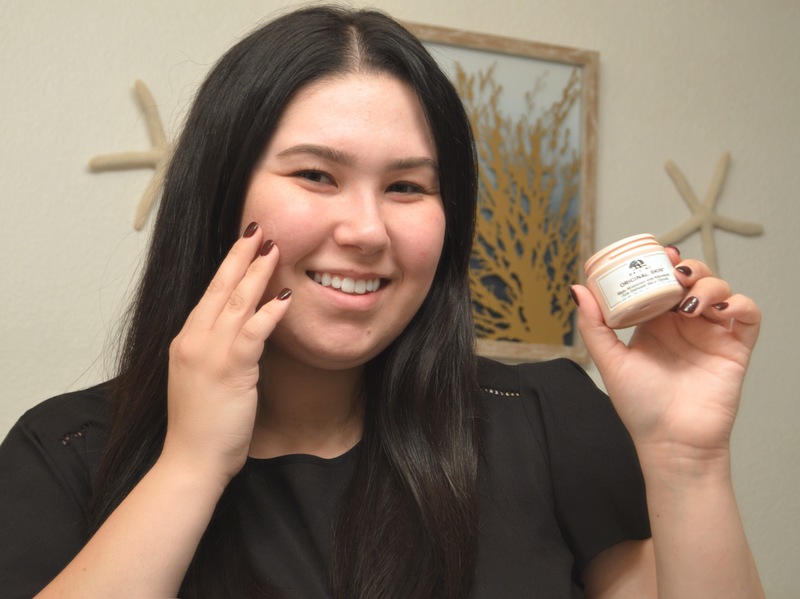 I’m absolutely loving this moisturizer! As far as the texture, it’s a very nice gel consistency. As someone with oily-combination skin, I prefer to use lightweight moisturizers in my morning skincare routine. I started using this moisturizer twice a day and noticed that using it this much was a little too drying for my preference. So I only use it in the morning before putting on makeup. It creates the perfect matte canvas for makeup and I’ve noticed my makeup staying on better throughout the day since my face is less oily! Glow bigger than ever! 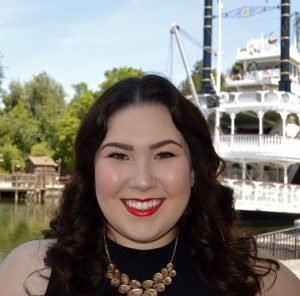 Skin having a #QuarterLifeCrisis? What’s the deal with your skin lately? No glow? And those pores…Not OK. Sounds like you’re facing quarter-life skin. But don’t worry. We’ve got you covered. #1: De-stress. Persian Silk Tree helps skin rebound. #2: Smooth roughness. Chestnut Seed Extract refines texture. #3: Delete dullness. Willowherb restores glow. #4: Shrink pores. Algae helps reduce oil to help them appear to vanish. #5: Minimize flaws. Blurs imperfections. I used this serum in combination with the new matte moisturizer and I’m loving what the combination is doing to my skin! It’s working to perfect the tone and texture of my skin gently without drying out my face. I definitely noticed the serum working on all five of the claims. Since using this serum, I’ve noticed that the acne scars on my cheeks have greatly diminished and my skin has a healthy glow without looking oily. Like the moisturizer, it also helps to prep my skin for makeup. It doesn’t fill in my pores, but it does create a blurred effect on my face as a whole. Glow big with our innovative 2-in-1 mask! Made with Mediterranean Rose Clay, Canadian Willowherb and exfoliating Jojoba beads, it helps gently deep clean while refining skin’s texture. Pores appear to vanish. Clarity is restored. Glow is instant. I love that this mask is a two in one product. It’s a clay mask that turns into an exfoliator when you wash it off. My favorite time to put it on is before I get in the shower while I’m waiting for the water to warm up. It’s quite difficult to wash this mask off in a sink without getting water everywhere. I used this mask 1-2 times a week during the month I tested these products. I didn’t really notice any of the benefits from the clay aspect but that could be because I only used it a few times throughout the month. 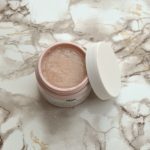 As for the exfoliating aspect of the mask, I did notice it helped reduce the texture from the acne scars on my cheeks and made my skin pretty soft. Since I only saw benefits from one aspect of this two in one mask, I’m going to have to keep testing it to figure out if it’s worth the $27 price tag. Overall, I highly recommend giving the moisturizer and the serum a try. As for the mask, I feel like I have used other masks that have more instant results and a smaller price tag. So, at this point in time, I would have to say skip the mask and save yourself the $27. Have you tried any of these products? 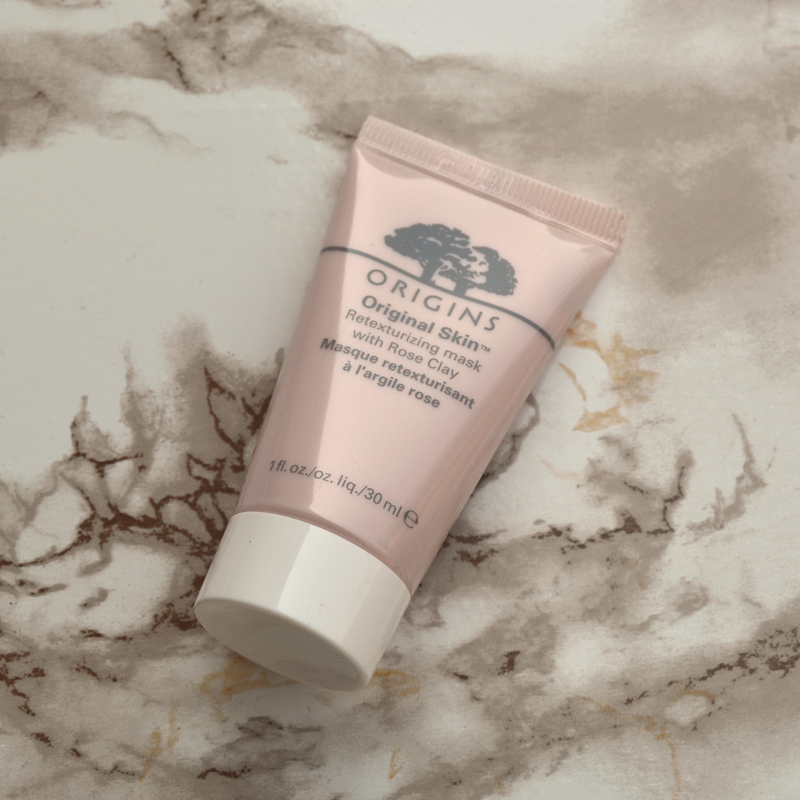 How about any other Origins products? What are your faves?